Québec City is filled to the brim with culture, but it’s also a business hub. The Québec City area registered a record 442,800 jobs in 2017, with the labour force growing by 2,500 people. It’s important that Québec City businesses safeguard their employees and themselves from sudden loss with the right business insurance coverage. Federated insurance provides Québec City businesses with comprehensive business insurance coverages that suit their specific needs. Why do you need insurance for your Québec City-based business? While running a business, working to protect your company against losses is vital. But it’s also important to be prepared should a disaster occur. If your business suffered extensive damages from a fire or flood, would you be able to shoulder the repair and replacement costs yourself? Or if your business suffered from a cyber-attack or lawsuit, would you be able to cover the associated costs? That’s why business insurance is an important part of any businesses toolkit. A business insurance policy can help protect your business from the unexpected. As locals ourselves, we understand what it’s like to run a business in Québec City. Whether you run a boutique in Saint-Roch, a restaurant in Montcalm, or another specialized business, we can help you get a policy that’s catered to your specific needs. Numerous factors can influence what kind of business insurance you need, ranging from revenue to business contents to where you operate. Just like your business is unique, your insurance policy should be too. Here we outline just a few of the coverages Federated Insurance can offer to help protect your Québec City-based business. If your business has any kind of physical property, it’s at risk of suffering from a disaster, ranging from a fire to flooding to vandalism. That’s where commercial property insurance comes in. It helps with the repair and replacement costs should your business suffer a setback. And it doesn’t just cover the building you use, but also a range of its contents, including equipment, inventory, furniture and computers. Following a mishap, your business may have to halt its operations for some time until the necessary repairs and replacements are completed. Without your regular business income, things like bills, payroll, and other ongoing expenses will pile up until your business opens again. Business interruption insurance can help pay you back for any lost business profits and assist with any necessary expenses until your business is back on its feet. Commercial general liability insurance (or CGL for short) is the foundation of any business insurance policy. Your business can be held responsible for any bodily injuries or property damage to a third party while they’re on your premises. Commercial general liability insurance is designed to provide assistance with the legal costs that you may incur as the result of a lawsuit. If you suffer from a debilitating injury or sickness, the last thing you want to worry about is your financial situation. Long and short-term disability insurance can help alleviate some of the financial stress so that you can focus on getting better and stop worrying about your protecting your income. We insure against theft by your employees and others. This includes employee dishonesty, as well as coverage for the loss of money and securities due to robbery, burglary, hold-ups and more. Commercial auto insurance will cover your company cars, as well as any damage to a third party. Standard commercial auto insurance can also cover loading and unloading liability, if property owned by others is damaged while it is being removed or placed into your vehicle. It may also provide replacement car coverage, if you need to rent a temporary car for day-to-day operations after an accident. With today’s technology, more and more businesses rely on the digital side of things. We offer specific protection for computerized equipment like laptops, desktops and other data processing equipment that can be damaged by things like power surges. 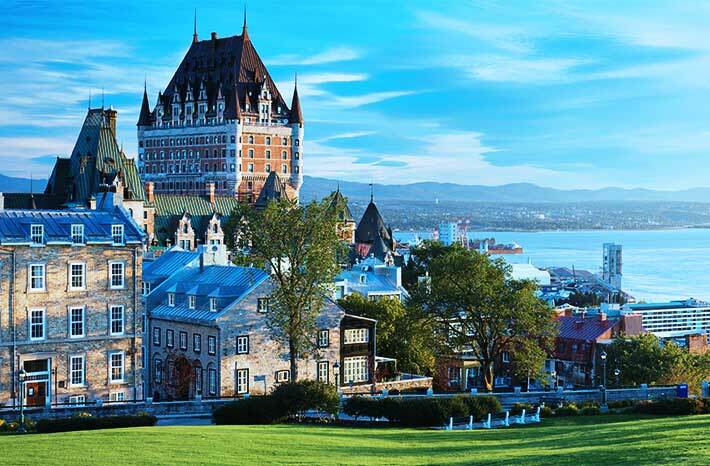 Why should you choose Federated Insurance to protect your business in Québec City?